Chawan are the bowls employed in the tea ceremony. Again, they were first developed in China, where the first form was the famed temmoku bowl shape which the Japanese emulated. But then other shapes and glazes were made dependent upon the kiln of manufacture and the predeliction of the tea master. 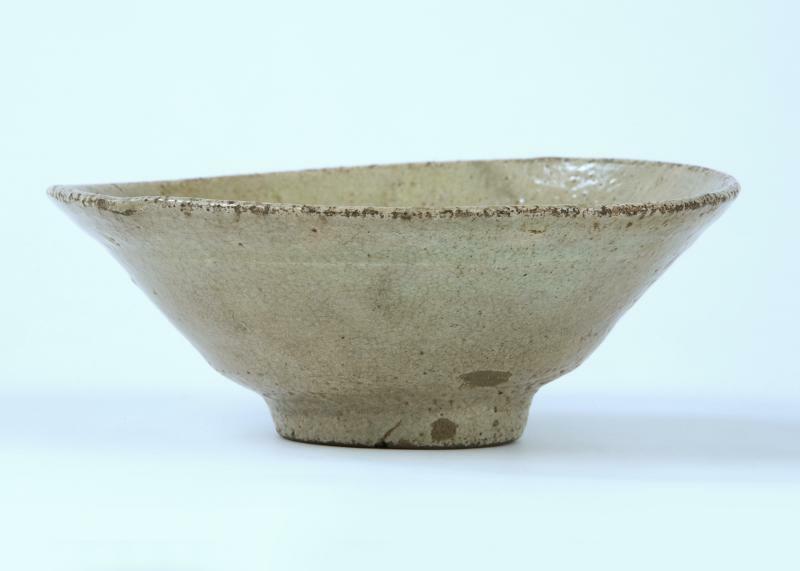 The Japanese in their love of wabi sabi used imported bowls for tea such as the Korean bowl pictured above. Its irregular form and open conical shape make it ideal for partaking tea in warm weather. Copyright 2010 CAROLE DAVENPORT JAPANESE ART. All rights reserved.